This awesome print by Brian Tinney measures 11 x 14 and will fit in a standard size ready made frame of your choosing. 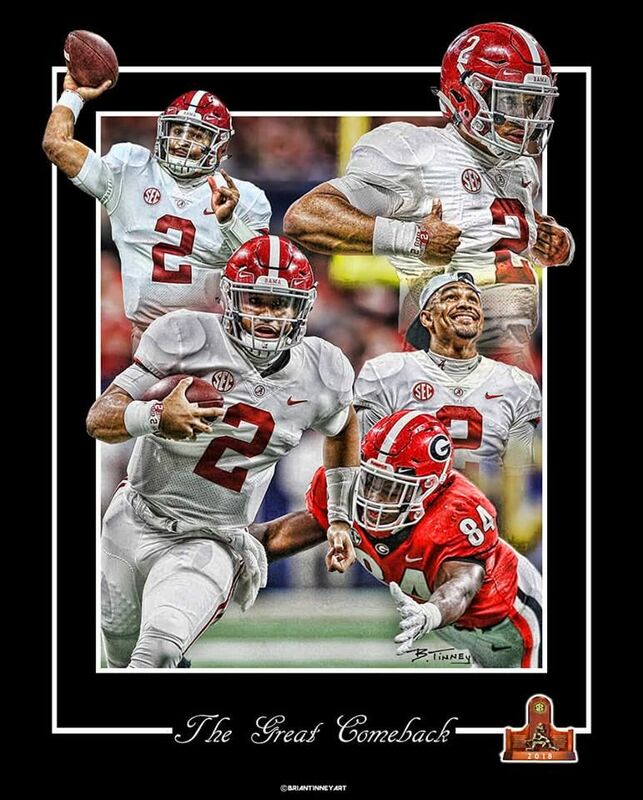 This print shows the heroic comeback led by Jalen Hurts after Tua went down with a victory to secure the SEC Championship for The Tide over the Georgia Bulldogs. 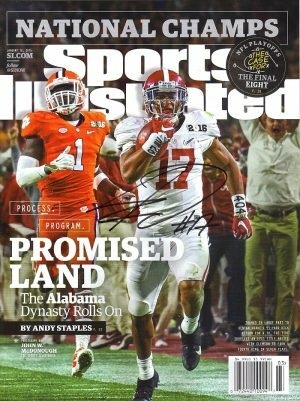 Find Each and Every 2015 National Championship Item Here!